This post is sponsored by Society Culinaria on behalf of Cacique. All opinions are our own. Thank you for supporting the brands we love. 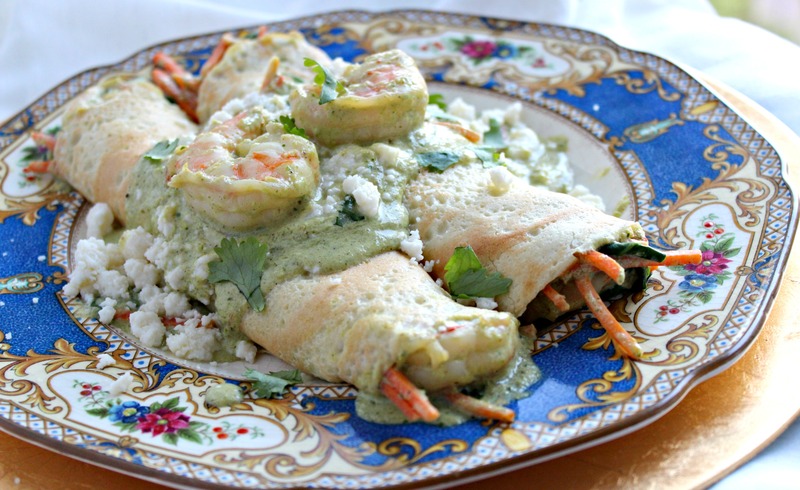 A delicate thin pastry, crepes are the perfect vessel to fill with savory, plump shrimp sautéed in a spicy poblano cream sauce. 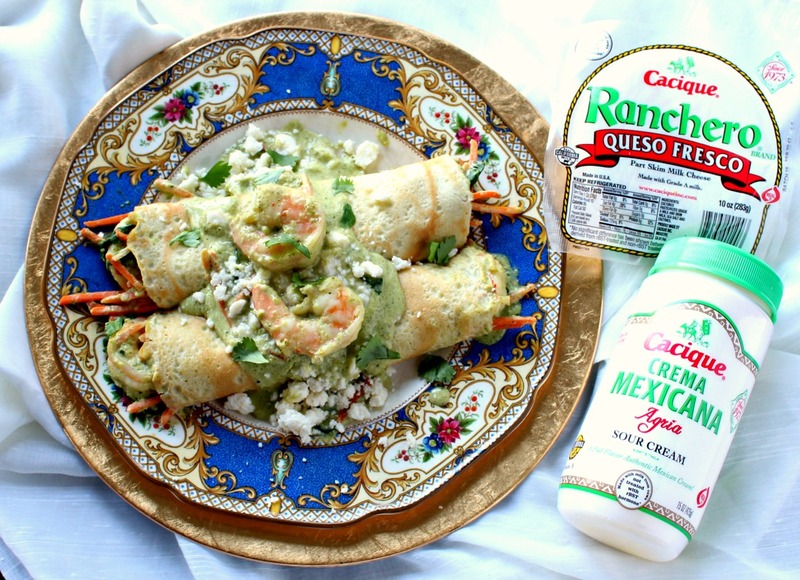 It’s an elegant entree that I would serve with Mexican rice and a crisp green salad, or a quick breakfast. For the full recipe click this link.